What Happens If I Flee an Accident Scene Where Someone Has Died? Any drunk driving arrest is a serious matter in Florida. But when a DUI results in serious injury or death to another person, the consequences are especially severe. Florida classifies DUI manslaughter as a second-degree felony, and in some cases it can be elevated to a first-degree felony, which is punishable by up to 30 years in prison. Under Section 316.193 of the Florida Statutes, there are two conditions for treating DUI manslaughter as a first-degree felony. First, the defendant must have known “[a]t the time of the crash” that “the crash occurred.” Second, the defendant must have “failed to give information and rendered aid” to the victim or victims. Here is what this means in practice. Recently, a state appeals court affirmed the DUI manslaughter conviction–and 16 year prison sentence–of a Palm Beach man. The defendant in this case ran through a stop sign at 63 miles per hour (in a 35 miles-per-hour zone) without stopping and sideswiped the victim’s car. According to evidence presented at the defendant’s trial, the impact “pushed the victim’s [vehicle] through the intersection and into a nearby canal, where it came to rest upside down,” drowning the victim. The defendant fled the scene on foot without immediately contacting the police or otherwise offering assistance to the victim. About an hour later, the defendant called the police from a nearby residence. At trial, the defendant asked for a jury instruction that required a finding he “knew that the accident resulted in death or injury.” The defendant had denied that he knew anyone was hurt or killed in the accident when he left the scene. This contradicts the standard jury instructions in Florida, which expressly state, “the State is not required to prove (defendant) knew that the accident resulted in injury or death.” After discussing the issue with the prosecution, the judge deleted this instruction but said the state only needed to prove the defendant “knew or should have known” the accident caused injury or death. In other words, the state did not have to prove the defendant had “actual” knowledge the victim was injured..
Leaving the scene after an accident is never a good idea. 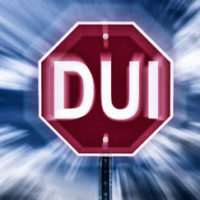 Even if you are afraid that you might be charged with a DUI, you cannot help your case by fleeing. Remember, you do not have to speak to the police or give a statement. But you should still call 911 and seek emergency assistance. And then you should speak with a qualified Miami DUI defense attorney about your potential legal liability. Contact the Law Offices of Julia Kefalinos at 305-676-9545 if you need to speak with a lawyer right away.